I’m about to start my build and am just wondering what everyone else has done I have ordered the rough country 2.5 suspension lift with upper control arm heavy duty ball joint and wheel bearings with a 2inch body lift 15inch wheels 8inch wide 3.75 backspace and 1inch wheel adapters from 5on 3.75 to 5on 3.5 looking at mild bumper and possible fender trim any more info on the build would greatly be appreciated! 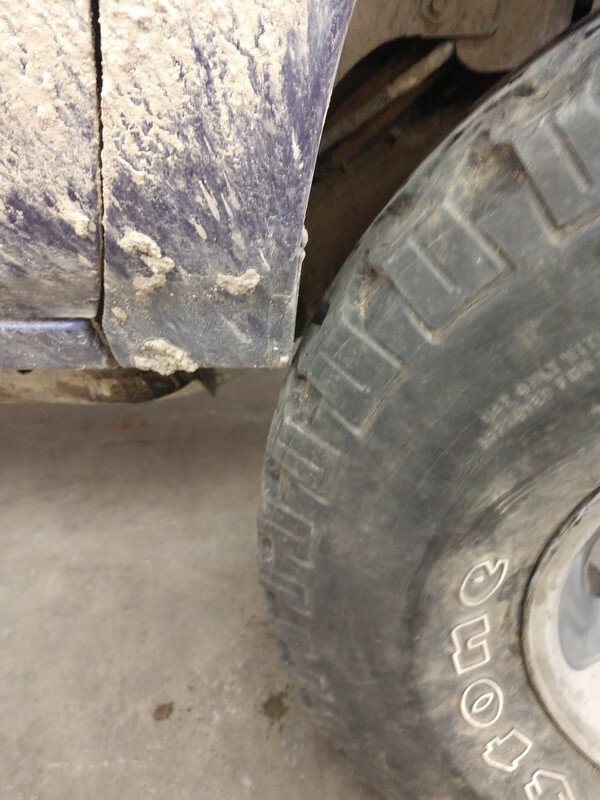 I'm running 33x10.50 on a 6" rc lift, and still had to trim the back edges of the front fender to keep from rubbing when the wheels were turned and I hit a bump. Save your money, don't get the 2.5" and body lift, and get the 6"
With 3.75" backspacing, you don't need wheel spacers, either. I don't rub on the frame or sway bar at all, even full lock, with 4.5" backspacing. With the 2.5 and 2" BL, you're only getting 4.5" of total lift, I've got 6" and still had to trim. Around town, it barely rubbed, and turning up the t bars a little took care of it. But when I wheel, I disconnect the sway bar for a little more articulation, and I drive it like I don't have to drive it to work lol. Plus, the ride was too crappy with the bars turned up, and I know the boggers are already straining the cv axles, no reason to make it worse by cranking the t bars up. So I put them at stock height, and got the cut off wheel out. No rubbing whatsoever, now. If you don't plan on any serious wheeling, 2.5"+2" and maybe some t bar, and you can probably get by. What is your ratio now? I've got 3.73s, and while it's plenty drivable, I'm really wishing for more gear. Eventually I want to slide tons underneath, but a 4.56 ratio would be ideal with a 4.3 and 33s, imo. Here is my 96 Jimmy, 2" body, after market keys and rear shackles. 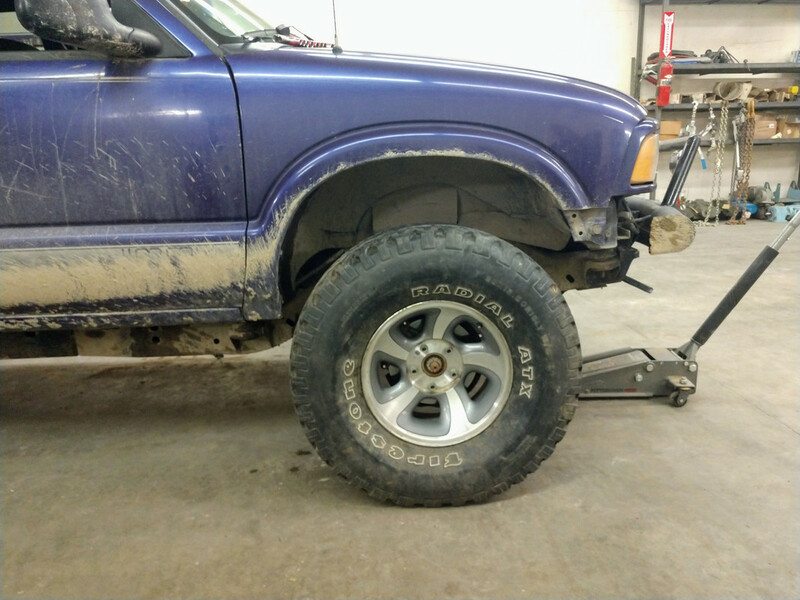 7" wide 2wd rim with 33/12.5 test fit. It clears but will touch the fender before full lock. I'm going to trim the fenders and may have to crank the torsion bars more. May switch to 3" body lift.